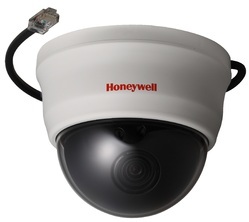 We are authorized channel partner for Honeywell ADI and have distribution rights for world leading brands in IP Surveillance including Sony, Honeywell, Samsung, Bosch, Capture, etc. The Dummy CCTV Camera which is designed for quick and simple installation gives a feeling of security without the high cost of installing and maintaining a real system. 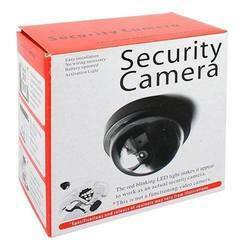 The flashing light LED makes this dummy camera looks like an operating actual security camera. Additionally, it is an excellent deterrent for thieves, easily mounted anywhere on the ceiling or wall. Please note that leaving a Negative or neutral feedback will not solve your problem . If you have any problem with the purchase you have made contact us once and we ensure you that your problem will be 100% solve. - Protect your homes, shops and business, Suitable for both indoor and outdoor usage.